Intro to Wood Truss Construction, by Ed Lim, P.Eng. Extremely common in North America, wood truss construction has evolved considerably over the past century. Previously a laborious, time-consuming task, wood truss design can now be accomplished by computer, allowing the engineer to develop novel and attractive structures to meet virtually any specification. Trusses can be used in roofs, but also in floors, allowing for greater flexibility in placing load-bearing walls. Trussing as a technique dates to prehistoric times, as builders found it was much easier to attach two or more smaller pieces of wood together than to find a single, large trunk from which to carve the desired part. 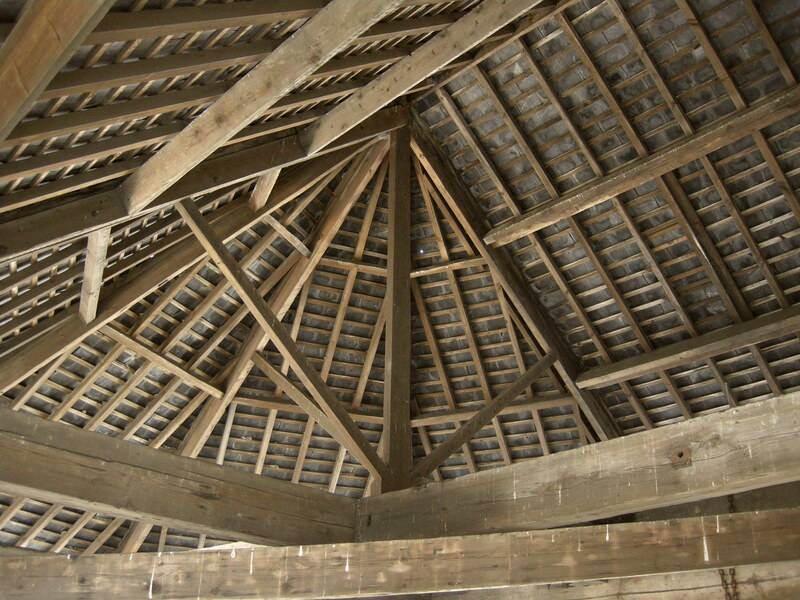 Trussing techniques, often combined with stone construction, became popular in Europe in the Middle Ages, and the characteristic triangle wood truss still used today was adopted by medieval builders for its strength and durability. In modern times, wood trusses are employed in construction for a number of reasons. First, the physical properties of wood, both lightweight and strong, make for an ideal building material. Second, construction-worthy wood is a renewable resource and grows in many parts of the world, making it relatively inexpensive and easy to source. Finally, wood trusses allow structures to be built in a variety of sizes and shapes, and for almost any climate. Employed in hundreds of millions of structures across North America, modern wood truss construction came to prominence in the 1950s. A builder named A. Carroll Sanford spearheaded this development by inventing a new type of truss plate, still in use today. He tested a variety of materials, including glues, nails, and staples, in order to find the strongest way to connect two beams in a truss. In 1952, he developed a spiked metal plate, which can be used to securely join wood at many angles. Wood truss construction subsequently experienced a renaissance. When an engineer designs a truss today, he or she employs sophisticated computer technology that takes into consideration weight loads, stress points, and angles. A machine then creates the necessary pieces, and builders assemble the truss. About Ed Lim, P.Eng. : A wood truss/frame systems engineer and entrepreneur, Ed Lim, P.Eng. co-founded Lougheed Truss , amalgamated with Cloverdale Truss and Permatruss forming United Building Systems in 1999. He lives in Vancouver, British Columbia, Canada.